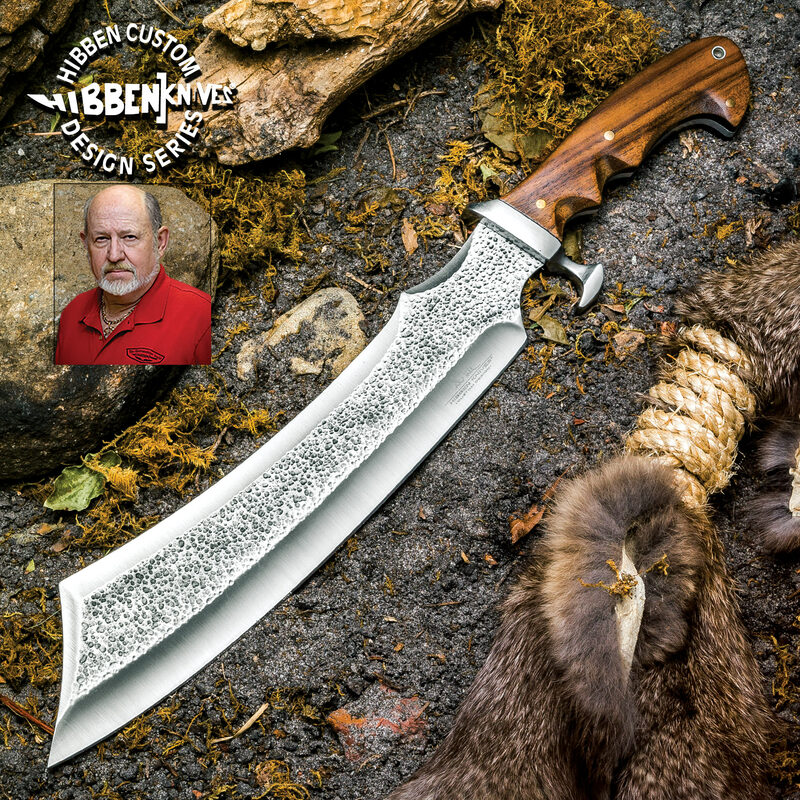 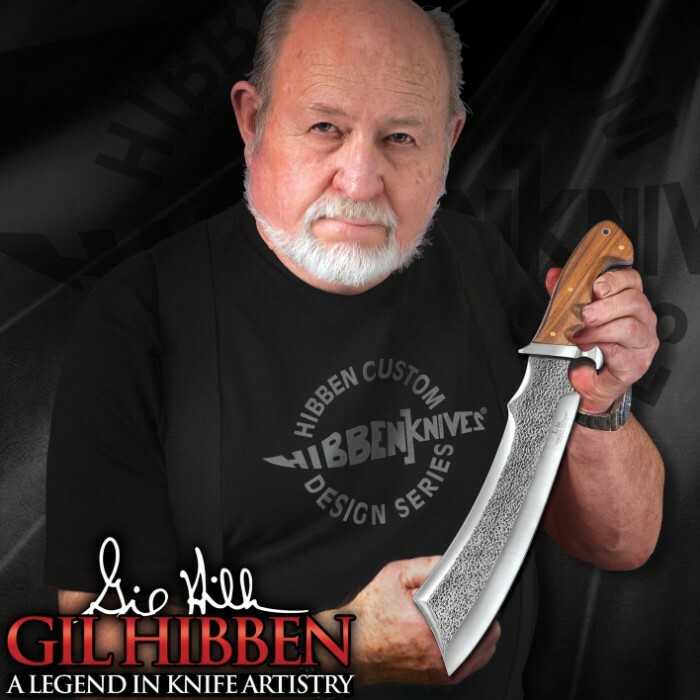 Hibben Master Bushcraft Machete | BUDK.com - Knives & Swords At The Lowest Prices! 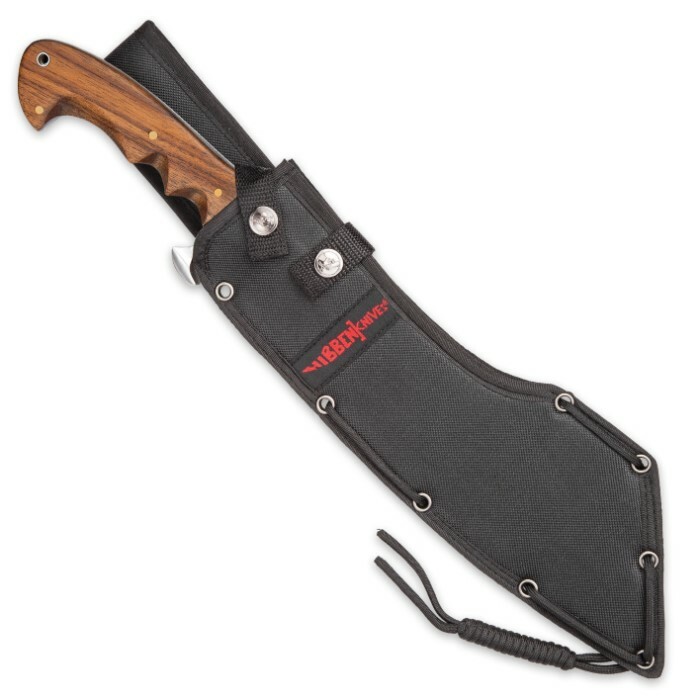 The single most important tool to a bushcrafter is the knife, and the Hibben Bushcraft Machete is the ultimate knife for firecraft, shelter building, and general wilderness survival. 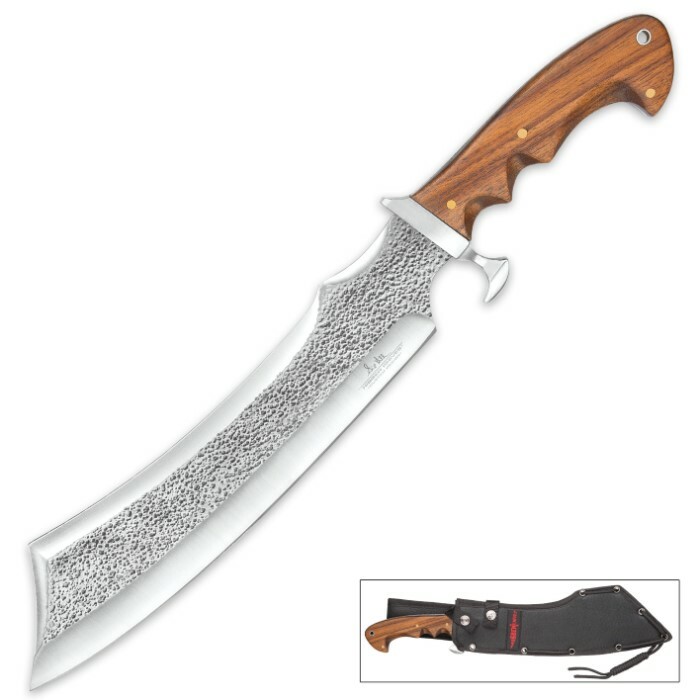 The magnificent 11 3/16” 1075 carbon steel, full-tang blade features a rough-forged look surface finish, which is complemented by a satin finished cast stainless steel guard. 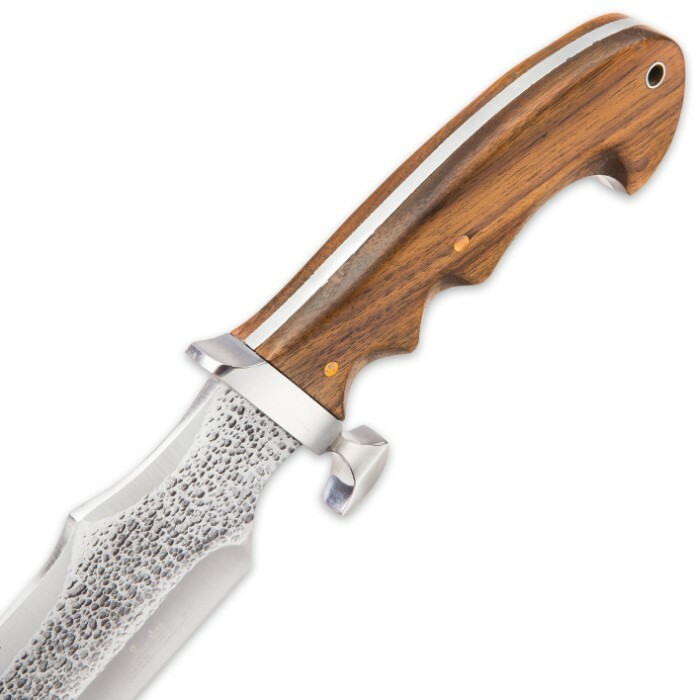 The walnut hardwood handle, with its nickel silver pins, fits perfectly in your hand, providing you with a comfortable and secure grip. 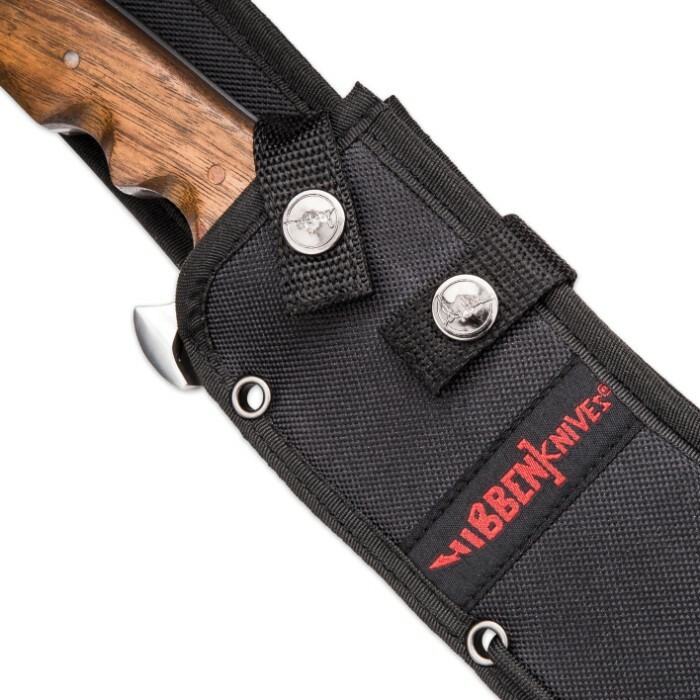 Includes a heavy duty nylon sheath with PVC blade liner, lashing grommets, and lashing paracord.